Margot Lyon, Director of Business Development, recently attended the International Meeting of the Society of Biblical Literature in Helsinki, Finland from July 29-August 2. As a sponsor and exhibitor, ATLA offered a workshop featuring ATLA’s database products. With more than 1,000 attendees, the international meeting offered a great venue to meet scholars, end-users, and publishers from all parts of the world. In addition to the academic sessions, a highlight of the trip was a walking tour called “Holy Helsinki” where participants discovered some of the lesser-known sanctuaries of downtown Helsinki. An enthusiastic theologian, Emil Anton, guided the tour of churches in the city, including visits to the places of worship in the Finnish Muslim and Jewish communities. Margot also visited the University of Helsinki Library to learn about religion/theology resources and to meet with librarians. 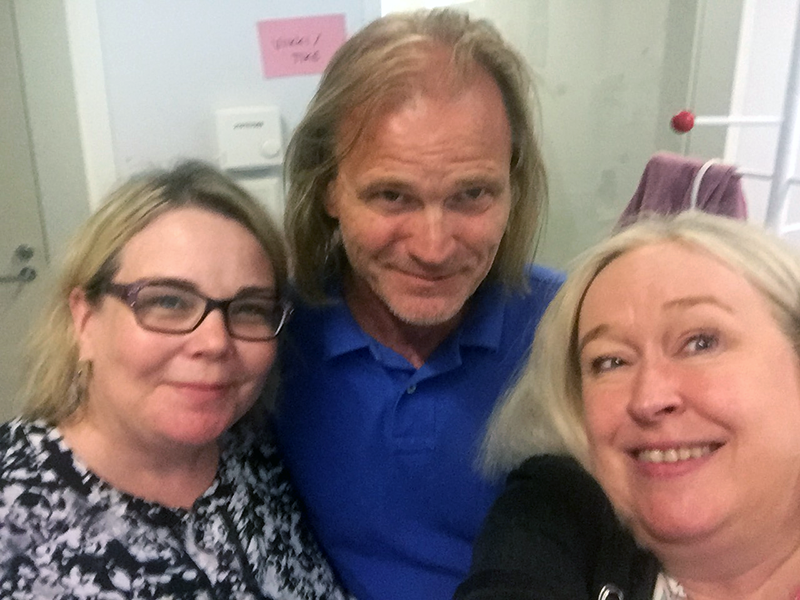 She met with Matti Myllykoski (Chief Information Specialist) and Pälvi Kaiponen (Head of Research Services) [pictured above].